MoPar Pentastar "Podium Ring" in a chunky raised podium style. Shown here in sterling silver our Pentastar "Podium Ring" is also available in 9ct yellow, white or rose gold or alternatively platinum. MoPar Pentastar "Podium Ring" in Solid Sterling Silver Billet. Original Design by Karen Ryder. Shown here in sterling silver our Pentastar "Podium Ring" is also available in 9ct yellow, white or rose gold or alternatively platinum. Handcrafted by Karen Ryder and ONLY available from RPM Jewellery. Any ring or pendant of this style not from RPM will be a poor substitute and not the real deal. 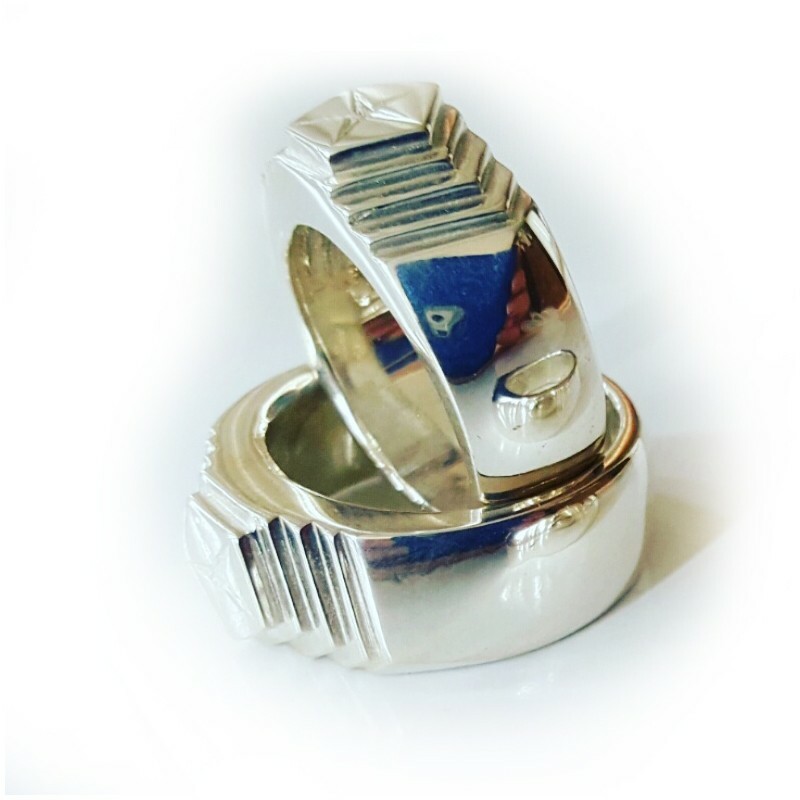 Buy an RPM ring original from RPM Jewellery and support an Australian designer. 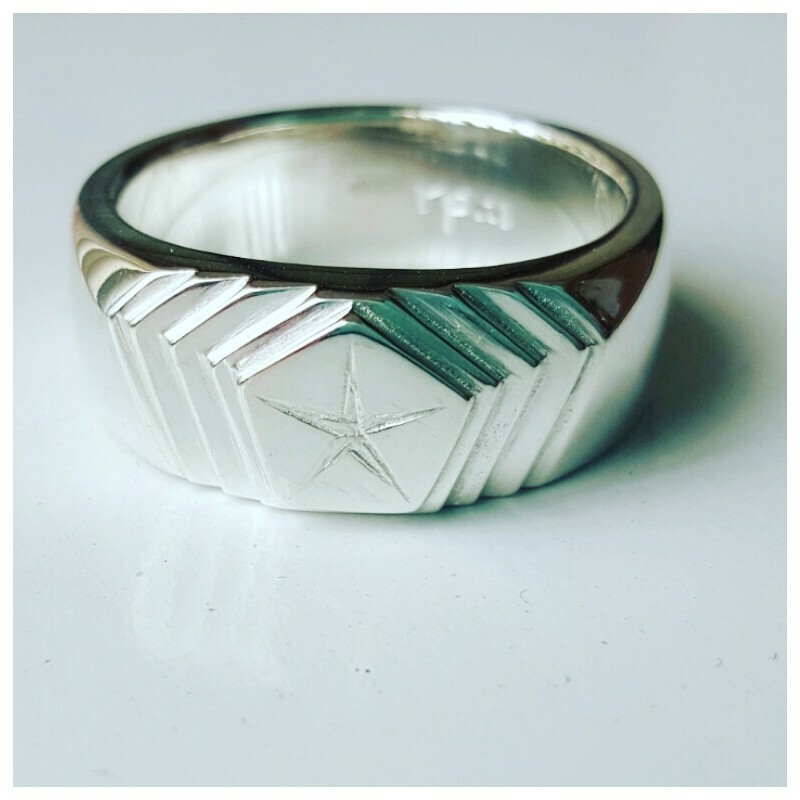 Shown here in sterling silver our Pentastar "Podium Ring" is also available with a solid 9ct yellow gold top on a silver band or solid 9ct yellow, white or rose gold or alternatively platinum. Please contact us for pricing in other precious metals and advise of the caratage that you are interested in. 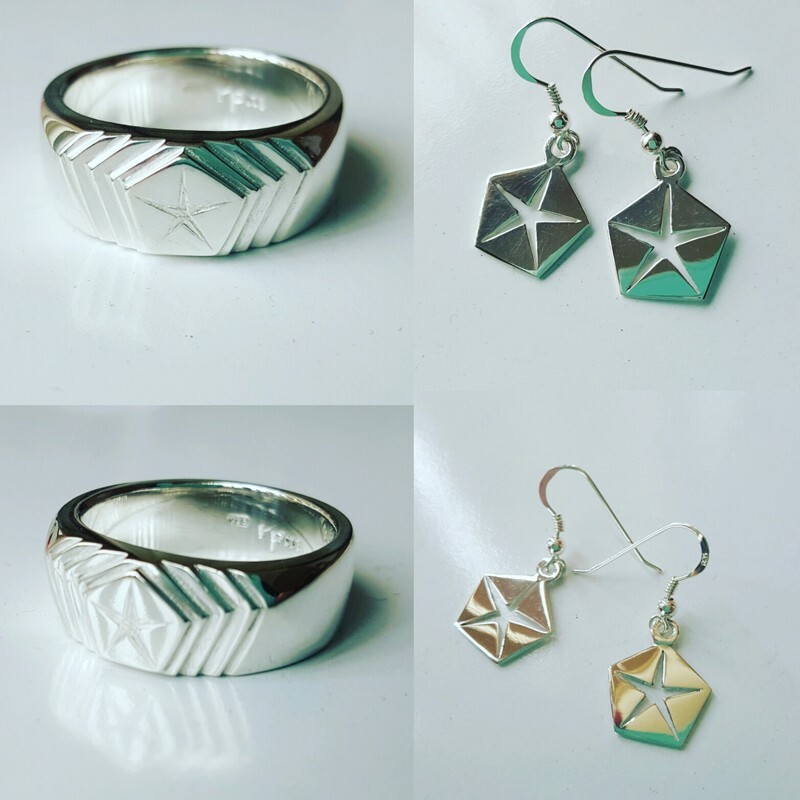 A matching set of earrings, bracelet and pin is also available in our range. 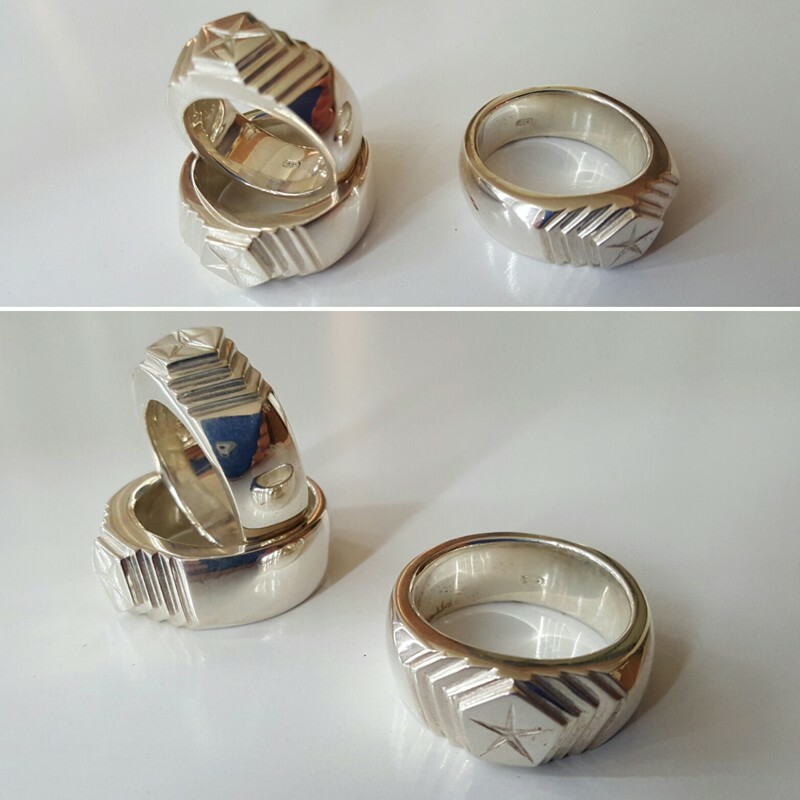 Rings are made to order so please advise of the size you need. We typically have a range in stock so turnaround time is around 10 days. As Gold prices fluctuate daily please contact us for an accurate quote.